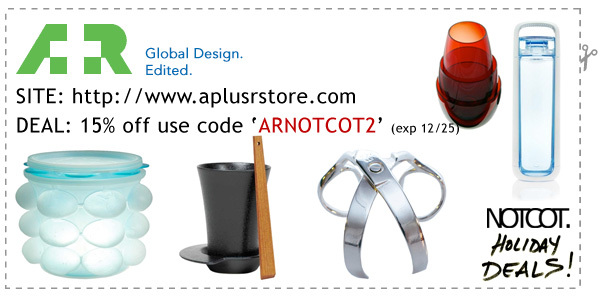 Here are some coupons from the NOTCOT Holiday Coupon Book! hot picks! 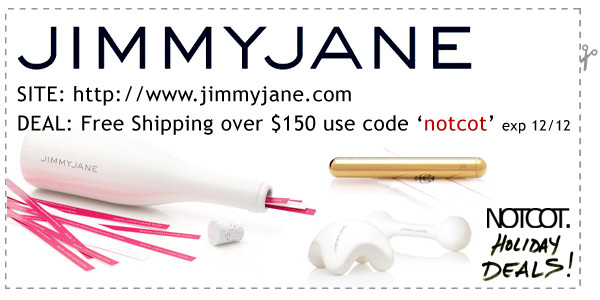 i heart the Lelo and Jimmyjane items. thanks for the amazing coupons! It’s too bad the crystal head vodka is going for $270, since it’s sold out everywhere and wont be back until next Halloween.